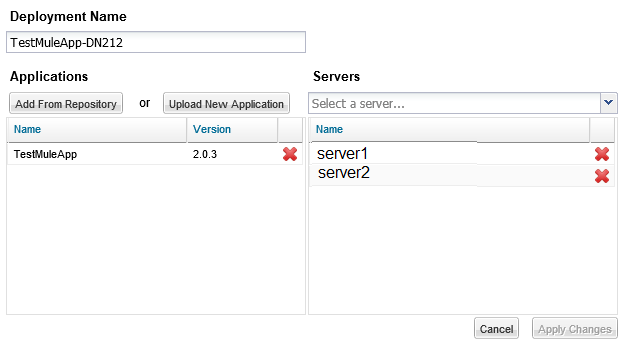 Select the application that needs to be moved to a new server. Click the red X to remove the current server(s) that the application is running on. Add the new server(s) that the application will be running on. Return to the Deployments tab, and ensure the status icon is green.